Elizabeth Gray has been writing since the age of five, but professionally since the age of 21. Her current writing gigs include article writing for Studio Anya, and playwriting for the Manhattan Repertory Theatre. The Pro-Form 785 Treadmill is a large piece of fitness equipment. It is made up of a console, handrail, foot rail, walking belt and walking platform. The walking belt is attached to the walking platform. The handrail attaches to the walking platform and rise perpendicular to it by means of base mounts attached to the frame of the walking platform. Across the handrail is the console. 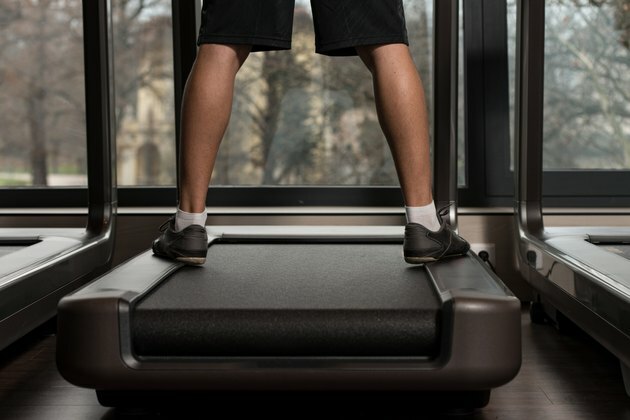 The Pro-Form 785 Treadmill comes with the walking belt already attached to the walking platform. Essentially, what you will be doing is take the console off the handrails and then detaching the handrails from the base mounts and the base mounts from the frame, leaving you with four separate pieces. Set the incline to the lowest level possible and then turn off the treadmill. Unplug the treadmill from the wall. Find the frame guide on the left side of the walking platform frame. Unscrew the screws from the frame guide. Remove the screws connecting the console to the handrails. Lift the console off and place it aside. Find where the handrails attach into the base mounts which are attached to the walking platform frame. Unscrew the handrails and lift them out of the mounts. Unscrew the mounts and detach them from the walking platform. Remove the bolts at the end of the treadmill attaching the walking belt to the walking platform via rollers. Remove the walking belt and rollers. Remove screws attaching the walking platform to the walking platform frame. Lift the platform free of the frame. It's helpful to have a second person holding the handrails/frame as you unscrew and remove the screws. This way, the handrails and frame will not fall. Do not disassemble the treadmill while it is on or plugged in. Be careful of the console wire when you take the console out, so as not to injure yourself or damage the treadmill.